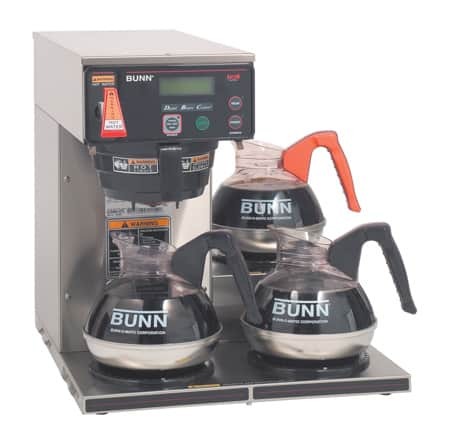 View cart “BUNN Paper Coffee Filter – DUAL Gourmet 20138.0000” has been added to your cart. 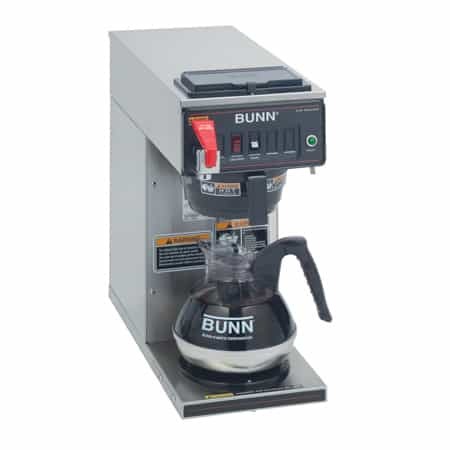 The BUNN Axiom 15-3 Automatic Coffee Brewer is ideal for restaurant use or other situations that require a large quantity and constant flow of fresh-brewed coffee. With a 200 oz. 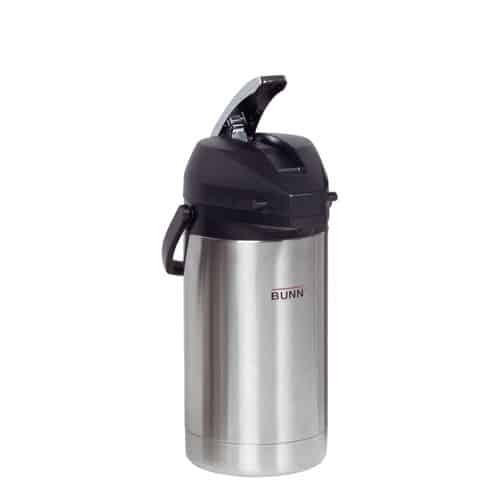 (5.9L) reservoir, the Axiom can brew up to 4.2 gallons of coffee in an hour and allows for back-to-back brewing of serving large quantities of fresh-brewed coffee. 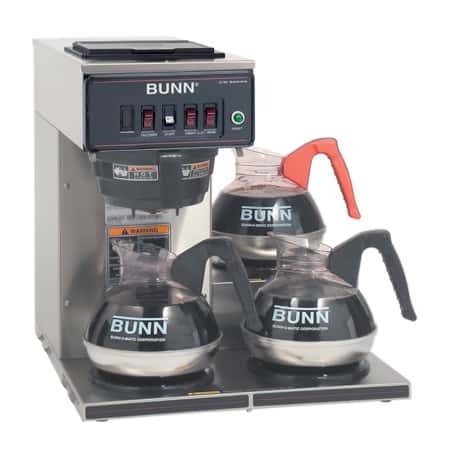 The three warmers design guarantees that you will have a constant supply of ready-to-serve, easy-to-access hot coffee at all times. The hot water faucet makes it easy to prepare hot chocolate or tea. 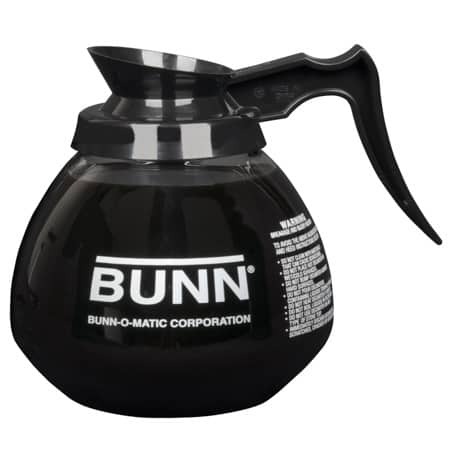 Easily adjust the temperature of the tank to ensure you are brewing the perfect pot of coffee every time. The Axiom 15-3 Brewer comes standard with BrewWIZARD technology, giving you the freedom to set your brew level and cold brew lockout. Service is easy, due to the electronic diagnostics and built-in tank drain. To help improve efficiency, the Energy Saver mode automatically lowers the temperature of the reservoir during idle periods. The BrewLOGIC technology allows pot levels to remain consistent by calculating the flow rate and adjusting brew time. The Axiom 15-3 Coffee Brewer is equipped with an automatic warmer shut-off, so you never have to worry about a warmer being left on by accident. For your safety, your hands are protected from hot liquid splashes with the Splashguard funnel. 120 volt, 15 amp. – requires 2-wires plus ground service rated 120V, single phase, 60 Hz.